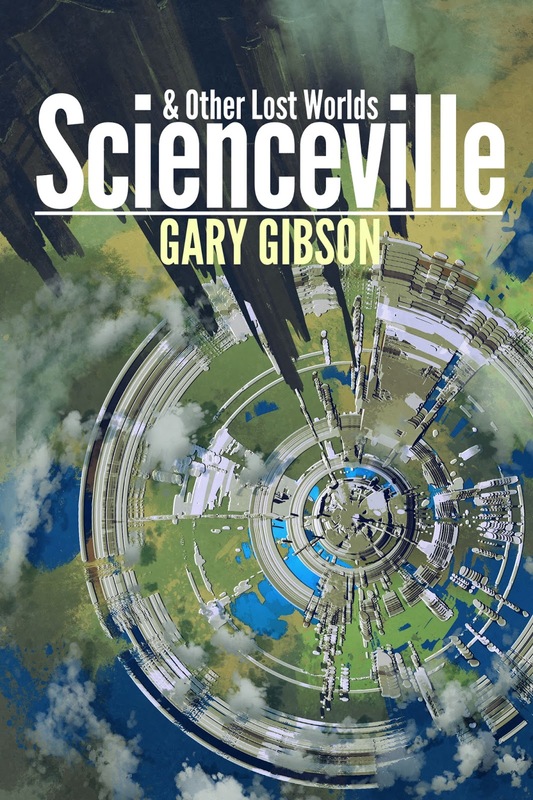 I spent the last week putting together a short collection of mostly previously published stories called SCIENCEVILLE AND OTHER LOST WORLDS, available, for the moment at least, exclusively on Kindle. Here's the link to buy it: myBook.to/Scienceville. The link is universal, meaning wherever you are in the world, it'll take you to the Amazon website for that region. SCIENCEVILLE, a novelette, first published in Interzone magazine in 2015. SENSELESS, first published in Shoreline of Infinity magazine in 2016. THE LONG FALL, a previously unpublished novelette set in the world of Extinction Game and Survival Game. THE RANCH, first published in an anthology of science fiction by Scottish writers called Thirty Years of Rain. All of these stories, bar one, were written over the last three years. The exception is The Ranch, which I wrote sometime back in the mid-2000s. There are other, earlier stories published in Interzone and other places, dating from the early 90s onwards, which I could have included, but I think they're showing their age a little. I've published ebooks on Amazon before, but the difference this time around is I'm publishing my stuff, rather than someone else's. I learned a lot from working on those books, all of them by writers I knew, and looking back I can now see what mistakes I made. Most of them were also collections of short stories, and what I know now that I did not then is that short story collections do not sell very well, certainly when compared to their novel-length brethren. It doesn't help that few people are willing to take a chance on names they don't recognise. The very few book-length projects I worked on under the Brain in a Jar Books umbrella, by contrast, did notably better. Well, most of them, anyway. But Gary, you might ask, if nobody buys short story collections, why are you putting one out? Well, if you've paid any attention to what I've been saying here over the past few years, I've been busy writing a third book in the Authority series that started with Extinction Game and Survival Game. Right now, that's perhaps a few months from being ready for beta readers, perhaps even just a few weeks. And since it's unlikely anyone else will want to publish it, there's a very good chance I'll be going it alone once it's ready and publish it myself. Putting out a short story collection will give me the opportunity to do a deep dive into how the modern Kindle market works, and that experience may w ell be invaluable. And I happen to think these stories are the best short fiction I've written. I'm particularly happy with how Scienceville came out - and remember, you can download a free copy of that novelette by signing up to my mailing list. And a reminder; this collection contains an exclusive novelette set in the world of Extinction Game and Survival Game. A modified version of it will also form part of the third Extinction book, which I'm currently calling Last Tour of the Apocalypse. I do get occasional emails asking if there are going to be any more books set in that universe, so now is your chance to get a first taste of one. Of course, if you're a Patreon supporter, you'll already have seen rough drafts of parts of Last Tour, as well as some other bits and pieces. Anyhow! Buy it, download it, read it, and for God's sake, leave a review. Remember: the more sales I have, the more I can keep writing.